I hate the phrase “pop-up restaurant”. To me, pop-up implies here today, gone next week – I don’t think a pop-up should be a way to create interest in a venture which the proprietor patently has no intention of ever closing. I don’t think the food has to be of amazing quality but the experience has to be memorable; far too often pop-up is a synonym for mediocre. Most of all though, I dislike pop-ups because they tend to attract a “cooler than thou” clientele who grate on my nerves. Thankfully, the event I attended a few weeks ago wasn’t afflicted with any of these blights. The supper held in the Science Gallery in Trinity College Dublin was the last of a series of pop-up evenings in Ireland from the folks at Castello di Potentino and From Vineyards Direct. 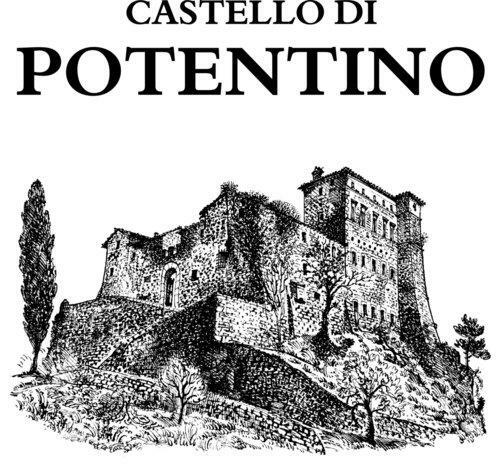 Castello di Potentino is a small winery in the province of Grosseto in Tuscany, about 30km from Montalcino, with a total production of 20,000 bottles per year. The aim of the Potentino pop-up is to recreate the conviviality of an evening sitting by the fire in the castle in Tuscany chatting with friends over a glass of wine. Alexander Greene and winemaker Charlotte Horton were on hand to talk the diners through the wines and olive oil for the evening. We tasted a range of the Castello di Potentino wines – Lyncurio 2009 as an aperitif; Piropo 2008 accompanying pasta with Bottarga pesto; Sacromonte 2005 with the main course of Tuscan sausages cooked in wine, Fave e Fagioli; Piropo 2007 accompanying chocolate pots with Maldon salt, lavender and Potentino olive oil. 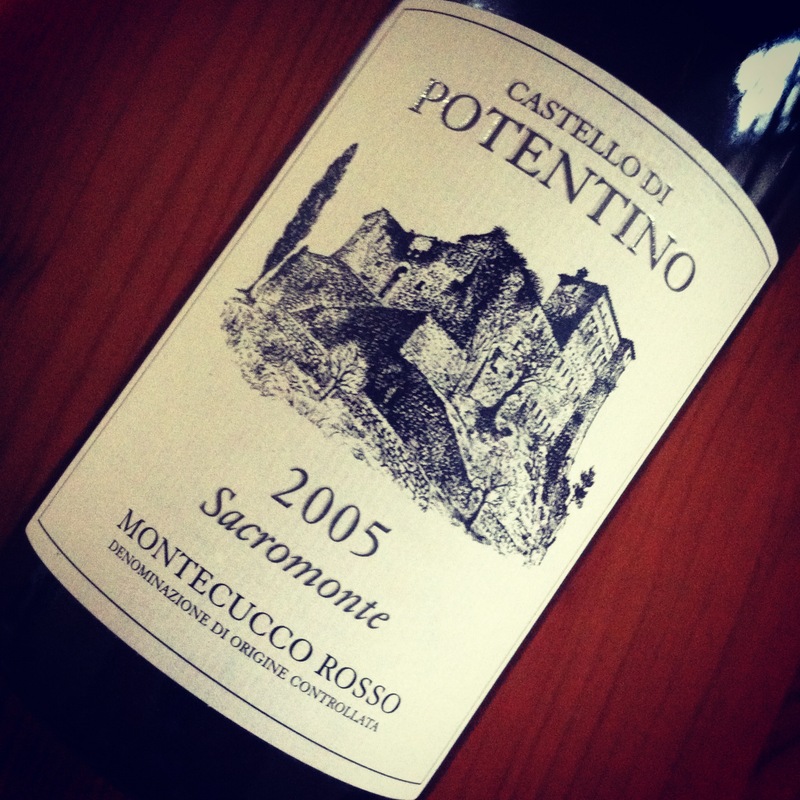 Hands up here, my tasting notes from the evening were truly awful – scrawls of incoherent words in the main, but thankfully I wrote down something meaningful about my favourite wine of the night – Sacromonte 2005 – this was a really quaffable Sangiovese from the Monteccucco Rosso DOC. Starting out with hints of flowers, the cherry fruit nose evolved into more intense, earthy, mineral characteristics on the palate with a streak of liquorice running through the finish. With just enough acidity and tannin to ensure that the wine was neither heavy nor flabby, it wore its 14.5% alcohol extremely well – worryingly so when one considers how drinkable it was. Indeed I had no idea that it was 14.5% alcohol until the end of the evening which could explain the scrawled tasting notes! Quite frankly, I could’ve done without the Fave e Fagioli and just sat with a plate of the Tuscan sausages and a bottle of this. This was a really fun evening, ironically made all the more enjoyable by our late arrival. Our tardiness meant that I and my three dining companions assumed makeshift place settings in the middle of a ring-shaped table and indeed ate some courses with our plates on our laps. I should add that the lap dining was entirely our own choice but in a sort of odd way it fitted right in with the informal, homely and relaxed approach to the evening. Simple but enjoyable food, interesting and exciting wines. Great fun. The wines are available in Ireland from From Vineyards Direct and more info on the Castello di Potentino pop-ups can be found here. 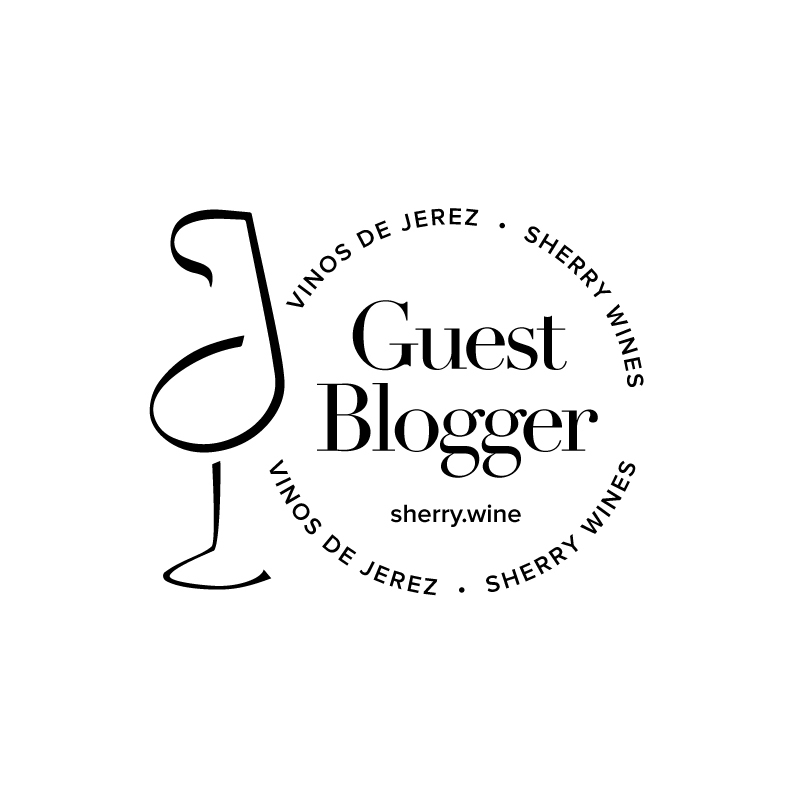 (Logo image courtesy of From Vineyards Direct Ireland). .
Ha! ha! You absolutely got the whole point of the event and the wine. Thank you. It qualifies you for an invitation to the real thing at the castle. So wonderful to be understood.